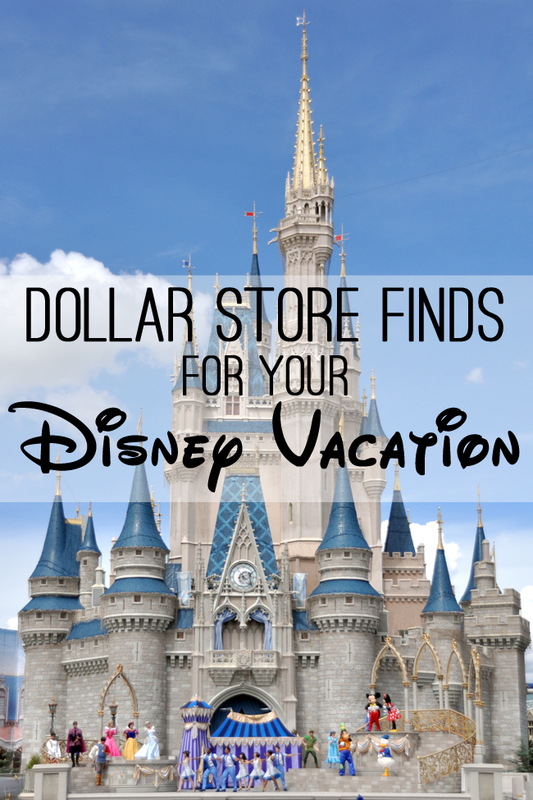 Grab your Disney World packing list and head to the dollar store for these amazing dollar store finds for your Disney Vacation! 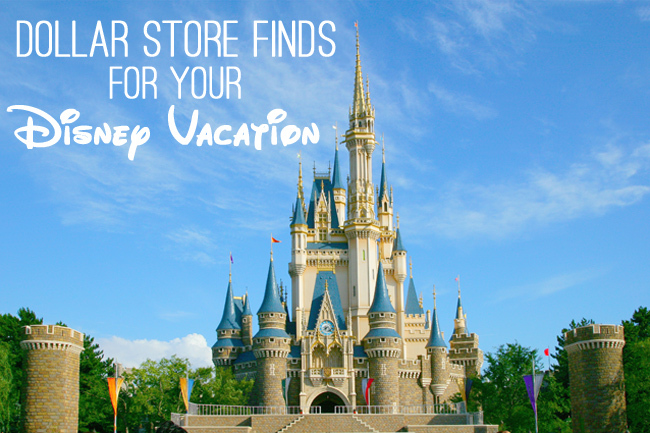 Yup, you read that right — you can find tons of fun Disney essentials at your local dollar store! We took a trip to a nearby Dollar Tree and found all of these items… and I’m sure you could find even more at other stores. 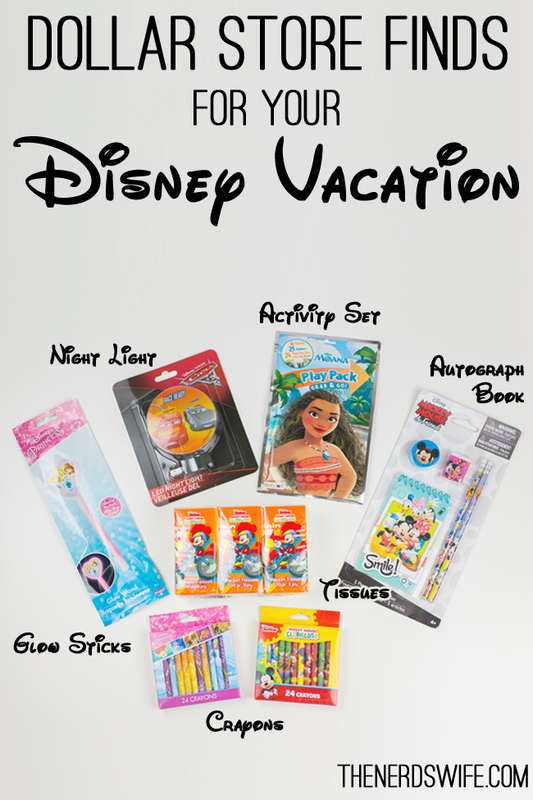 I am all about saving money when it counts, and stocking up on dollar store Disney items will make it easier to keep our budget when going to the park. Activity Packs. We found these with tons of Disney characters: Moana, Avengers, Mickey Mouse, and more. These fun packs are perfect for keeping kids entertained on the plane. I also like to keep a few in my bag for when we’re waiting in line. Notepad and pencils. Here’s another item that could be fun on the plane or waiting in line. This one is so cute, I thought it might even make a fun autograph book! It’s the perfect size for my kiddo to keep up with himself. Glow wands. Don’t spend tons of money at the parks for these — we grabbed a few Disney themed ones (they had princesses, Avengers, and Spider-Man wands at our store) and also a tube of regular glow stick bracelets for the nights when we are staying in the park to watch the shows. Tissues. I *always* keep a pack of tissues in my bag, and what’s more fun than Mickey Mouse ones?! Night Light. I like to grab a fun night light for our vacations. Hotel rooms are so dark, and how fun is it to have a fun Disney one for our vacation?! We got a Cars one, but the store also had Frozen and Princess night lights. Crayons. I couldn’t resist these fun Mickey and Princess crayons. They are perfect to throw in a bag and use on the plane or in line. Do you sense a theme here?! Always be prepared!! Antibacterial wipes. Here’s another thing I always carry. I like that these can be used to clean hands AND surfaces. And they’re so much cheaper than at the regular store! Sponges. Get these wet and add dish soap. Allow to dry and cut into pieces. Store in ziplock bags for an easy way to watch dishes in your hotel room at night! Lollipops. There’s just something magical about a rainbow lollipop. These are super cheap, especially when compared to the ones in the park!